A colour slide of plants inside of a greenhouse. 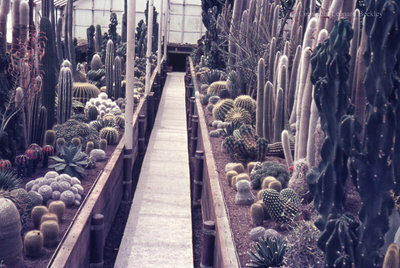 In this view an aisle divides two rows of cactus plants. Greenhouse, May 1976, Leonard Beckley. Whitby Archives A2014_004_073.